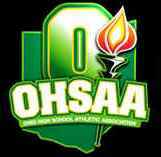 The OHSAA District Cross Country Tournament entry confirmation through myOHSAA ends October 4, 2016. Schools that change their tournament participation after October 4, 2016 will be subject to a $150 penalty per sport. The athletic administrator must confirm their school’s tournament participation through myOHSAA prior to October 4. Coaches must submit the roster online at www.baumspage.com between September 18, 2016 and 5:00 PM, Friday, October 14, 2016 or at a later date and time if established by the district athletic board. Coaches must login and submit up to 7 athletes while the entry window is open! The Entry Window will open at 8:00 AM on Sunday, September 18. Call Gary Baumgartner at 513-594-6154 or Terry Young at 740-517-0195 if you need immediate help!